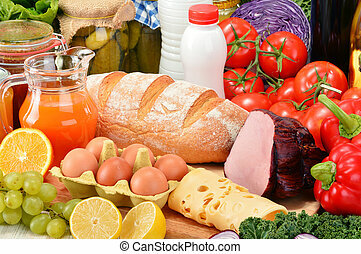 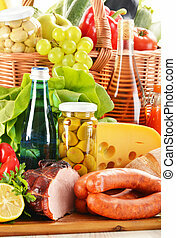 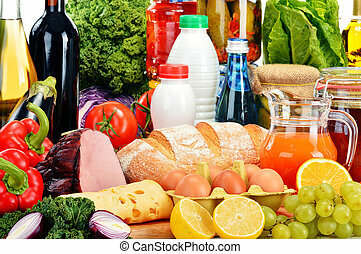 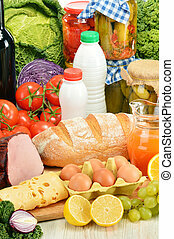 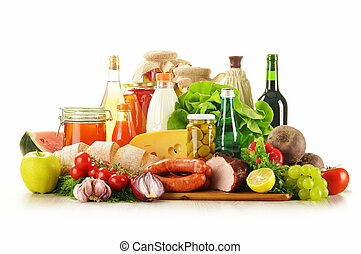 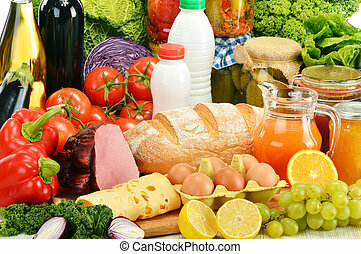 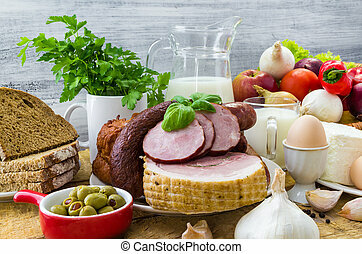 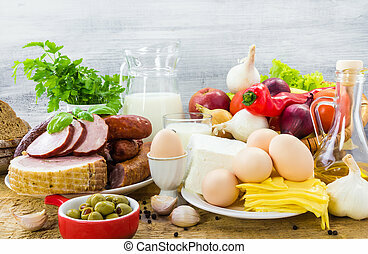 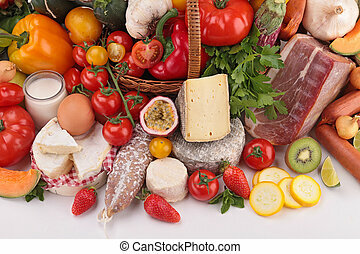 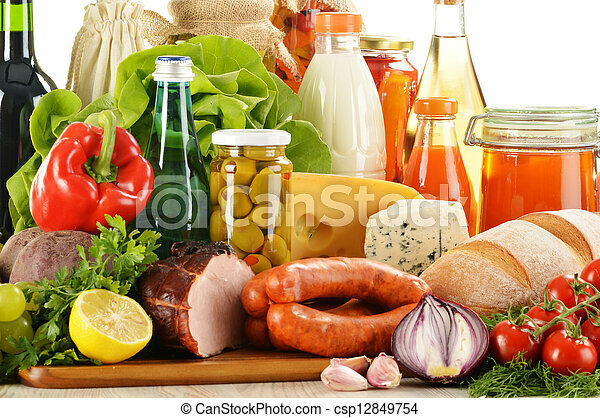 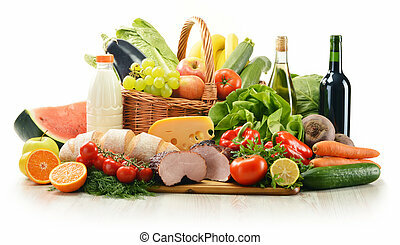 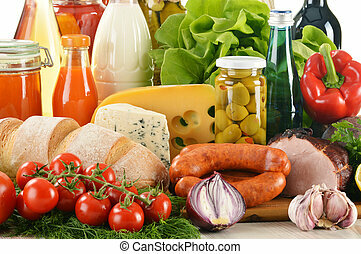 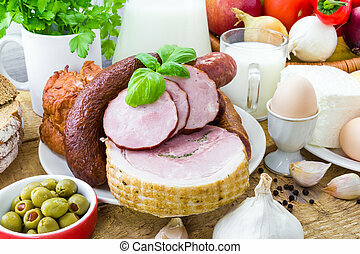 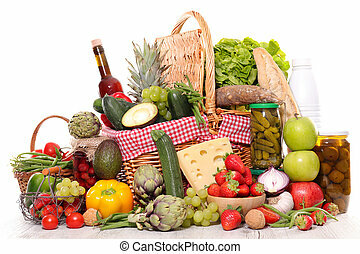 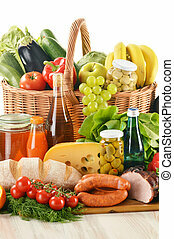 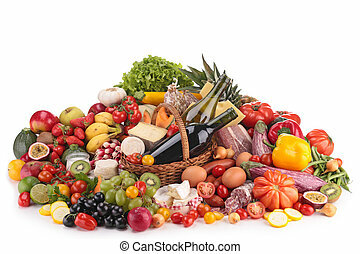 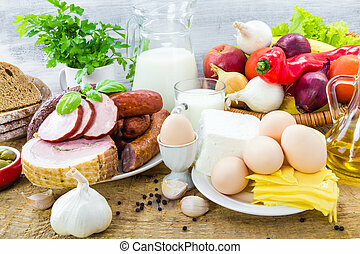 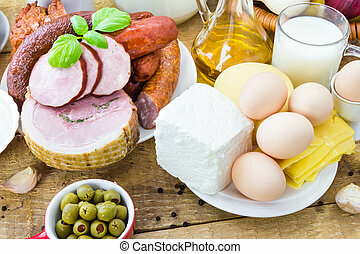 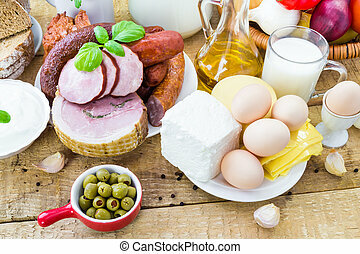 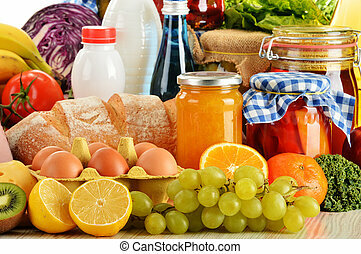 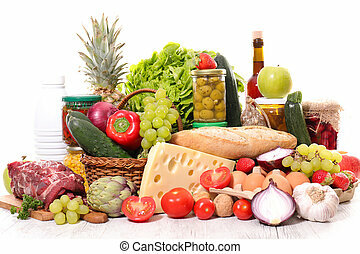 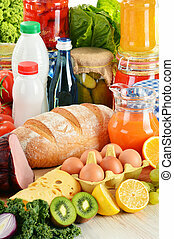 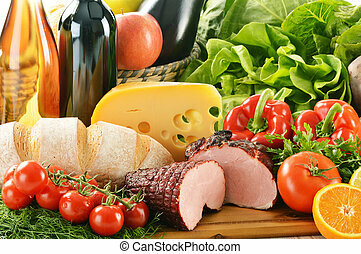 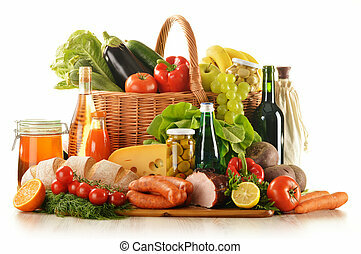 Composition with variety of grocery products including vegetable, fruits, meat, dairy and wine. 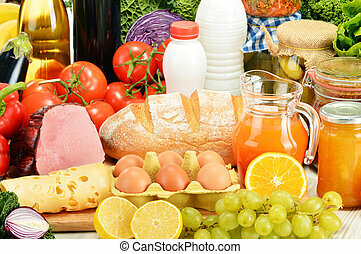 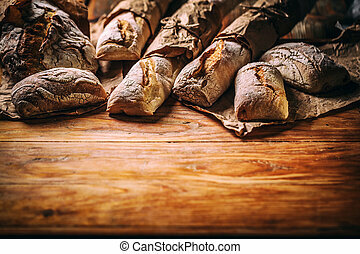 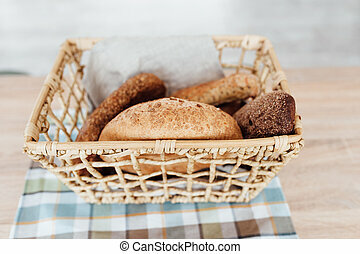 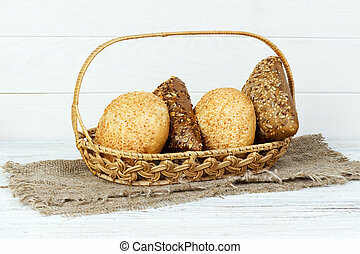 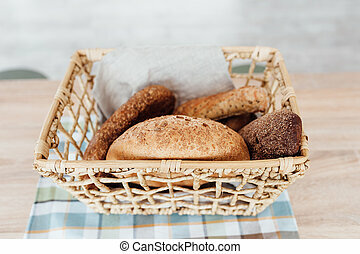 Composition with variety of baking products on wooden table. 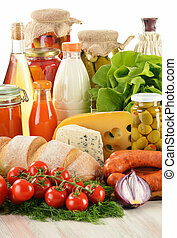 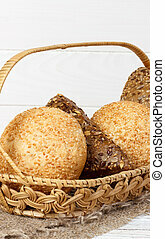 Composition with variety of grocery products.